This weekend is a big recruiting weekend for the OSU football team and the Buckeye coaches as they welcome a number of high profile recruits to campus. 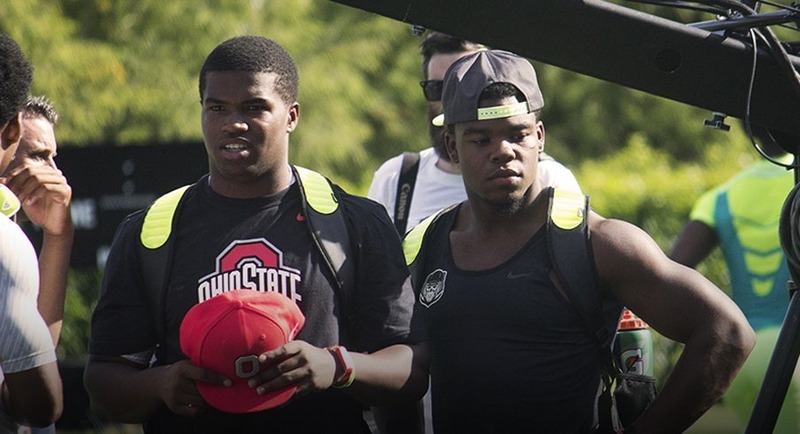 Two current commitments will make official visits, Justin Hilliard and Eric Glover-Williams. Five uncommitted prospects will also be on campus including DB Kareem Orr (Chattanooga TN), DL DaVon Hamilton (Pickerington OH), DL Terry Beckner (St. Louis IL), OL Venzell Boulware (Fairborn GA), and WR KJ Hill (North Little Rock AK). The recruits will get to a experience a very special event as Ohio Stadium is open to the public Sunday at 11:00am to celebrate the National Title. Many will pack into the facility, which opens at 9:30am. A great experience for kids looking for a football program to join. Sunday will be Junior Day (3 Sophomores are also invited) with a good number of 2016/2017 recruits coming to see the Ohio State v Indiana basketball game. Twelve from the next class are invited and all have been offered a scholarship to be a part of the team. The 2017 recruits have also been offered. With 24 recruits already a part of the 2015 class, there isn’t much room to add more. The weekend should be very interesting as players join and drop out of the class, possibly.